There are two highlights to report from St Andrews Table Tennis Club activities this week. The Victory Memorial Hall was the venue on Monday for the annual junior tournament which rounds off the season’s coaching activities. Competition amongst the eight boys was fierce (but in the best sporting spirit) as organiser, Howard Lee, set out two groups of four, with the leading two players in each to progress to the semi finals. The event became a tale of two families as brothers Michael and Campbell Snodgrass emerged to face Murray and Keir Paterson respectively. In two exciting semis, it was Michael and Campbell who came through to face each other in the final. 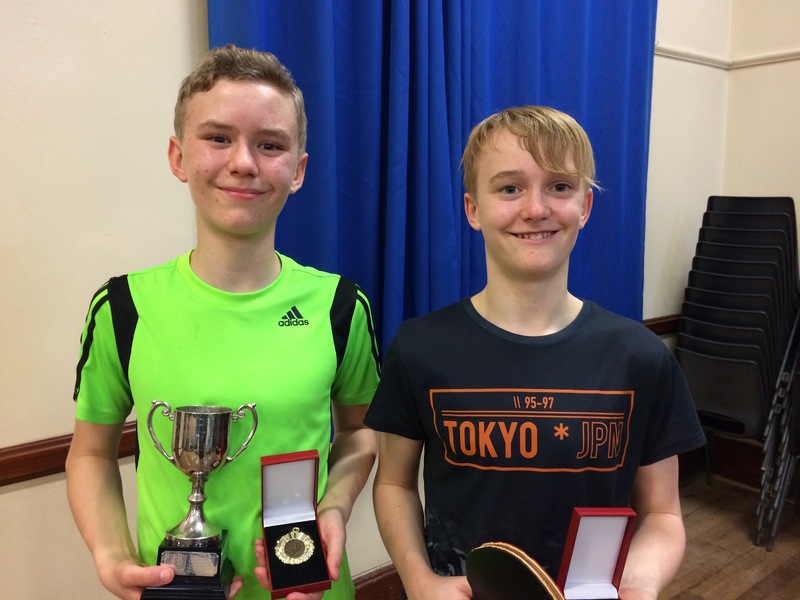 Campbell’s attacking forehand was probably the telling factor in an excellent final as he took home not only the coveted Grove Trophy for a year, but also family bragging rights for an evening at least! The juniors were followed on the tables by the much awaited semi final of the Handicap Cup with home side, Prefects, taking on Brechin. A great team performance saw Howard and Clyde Johnson again backing up a faultless display from back-marker Michael Hahn to give Prefects a berth in the final with a 10-6 victory. Credit to the handicappers for getting the starting scores spot on – although Brechin’s Bill Balfour might not agree as he narrowly lost three of his four sets 29-31. Prefects moved on to Ward road Gym on Tuesday evening to play Star with Sascha Roschy deputising for Michael. Highlight of the 3-7 defeat was Clyde’s four set victory over Iain Martin. In Division Three, Prospects went down 2-8 at home to Duffers. Emily Howat and Dave Goddard each scored a win, but the fixture could have taken a very different complexion had Neil Lea and big Dave not both been pipped in close five-setters in two of the first three matches. The saga at the bottom of Division Two goes on. Viscounts inflicted a 9-1 defeat on New Kids, with Ken Falconer the only St Andrean to win. Kingsway’s unexpected six points against Chieftains means that they have leap-frogged New Kids. Swots’ three valuable points against Truants in a club derby just keeps the former above the bottom two. With only three points separating the three bottom teams, and ten points up for grabs in each fixture, there won’t be many fingernails left as the teams swing into the last week of the league season. This entry was posted in St Andrews Table Tennis Club on March 24, 2017 by standrewstt. The best news for St Andrews Table Tennis Club this week was the 7-3 home victory by Truants against Rollercoasters which takes the team to the heady heights of third place in Division Two – especially pleasing after the tricky start made to the season by Truants, until they achieved a settled squad of four players. On Tuesday evening, it was trebles from Graham Wood and Sascha Roschy plus a doubles victory which saw off the Hecklers’ team, with Alain Leger unlucky not to get his name on the scoreboard too after a five set loss to Paul Jackson. Sadly, no such good news from the other two teams in the Second Division. However, Swots did manage to pick up six points over two fixtures in their attempt to stave off relegation. Collin Bleak scored good wins against Viscounts and Chieftains and the St Andrews team had a stroke of luck when Viscounts were a player short due to illness, giving them three ‘buckshee’ points. The gods were not looking so kindly on fellow strugglers New Kids who took only three points in a tough week when they had to play the Division’s top two teams. 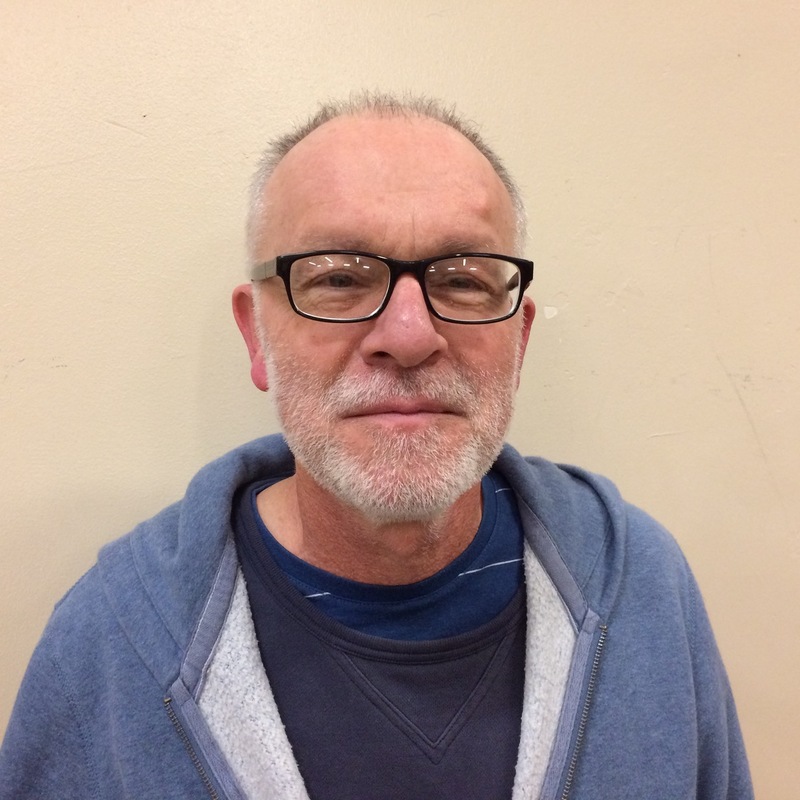 Ian Smith put a point on the scorecard against Thumpers while he was joined by Ken Falconer in each scoring a win against Telstars at Telephone House. Both Swots and New Kids are managing to stay above bottom team Kingsway but with only two fixtures remaining, the points situation is too close for a guess at the likely finishing positions. The standard of play at the Dundee & District Championships at Ward Road last weekend was very high, but the St Andrews contingent fought hard throughout. Sascha Roschy and Emma Bissett were runners-up in the Mixed Doubles, while Howard Lee battled through to the semi of the Men’s Vets and Keir Paterson reached the semi final of the Minor Boys singles. Best wishes go to the club members who are representing Dundee & District in the coming weekend’s Scottish Inter League Championships at Bell’s Sports Centre in Perth. Howard Lee, Sascha Roschy, Michael Hahn and Keir and Murray Paterson have all been selected in a variety of age groups. This entry was posted in Match reports, St Andrews Table Tennis Club on March 24, 2017 by standrewstt. Two of St Andrews Table Tennis Club’s five teams have battled their way to the quarter finals of this season’s Handicap Cup and both were in action this week trying to get one step closer to the trophy. First Division Prefects were drawn at home against Division Two’s bottom team, Kingsway, and so were starting each game with a large deficit. Clyde Johnson and Howard Lee knuckled down well to the task and won five games between them, but the star of the night was yet again Michael Hahn who, despite being the ‘back-marker’ for the evening, added another five games – which included the deciding one with the match score at 9-9. Amazingly, starting at 0-17 down, Michael won 16 points in a row and maintained his form to win 26-23 to give his team a berth in the semis. The following evening Swots travelled the long road to Brechin knowing that a win would give them a derby fixture against Prefects. Emma Bissett started the ball rolling with a draw but sadly the next six sets went the way of the Angus side. Dave Beveridge and Collin Bleak then each managed a draw but there was no comeback on the cards with Brechin emerging as 10-3 winners to face Prefects in the semi final. A busy week for Swots saw them also play a local derby against Lundin Lasers. Collin and Dave were joined by Rob Brown for this tie and the St Andrews side really got it together in the first stages of the fixture to go 5-2 up. While these are five precious points in their attempt to avoid relegation, the trio must be kicking themselves that they were thwarted in their attempt to add to their tally when Lasers mounted a big comeback to win the last three matches, thus securing a 5-5 draw. Prefects were also in action for a second time with a league fixture against Defenders at Forthill. Clyde and Michael each scored hat-tricks and combined to take the doubles. A singles win from Howard gave an 8-2 scoreline which ensures that Defenders stay at the bottom of the First Division table. At the same venue, on the same night, New Kids were trying to maintain their effort to stay out of the Division Two relegation zone but they found Tigers too lively to tame. Ian Smith scored two wins and Ken Falconer took one of his three matches but three points on the night was a disappointment for the St Andrews side who found Scott Thomson in particularly good form. At the top end of Division Two, Truants scored one of their best wins of a good season when they toppled second-placed Thumpers 7-3. Sascha Roschy, Graham Wood and Alain Leger all added points, with Sascha unbeaten on the night. At the wrong end of Division Three, Prospects endured another defeat at the hands of Lairds but two singles wins from Jon Fraser and an excellent doubles victory by Jon and Emily Howat helped to relieve the pain somewhat. As the season draws towards its close, there are a busy few weeks for the Monday coaching group. The youngsters have to fit in a parents’ night when family bragging rights will be decided, followed by the Junior club championships for the Grove Trophy which will take place on 20th March. This entry was posted in Match reports, St Andrews Table Tennis Club on March 13, 2017 by standrewstt. As a change from league play, seven members of St Andrews Table Tennis Club entered the tournament presented by Dundee & District Table Tennis Association at Ward Road Gym, Dundee last Saturday. Dave Beveridge, Emma Bissett, Alain Leger, Neil Lea, Knut Radmer and Sascha Roschy enjoyed play in a number of events restricted to Division Two and Three players and were joined in the afternoon by Howard Lee for the Fowler Handicap event. As the leading player in the Division Two averages, Sascha was first seed in both the Trident Challenge and the Over 25 singles. Living up to his top billing, he won both although he was given a particularly good run for his money by Brechin’s Derek Mitchell in the latter event. Derek had earlier forged a winning partnership with Knut to take the Hardy Ballot Doubles title, beating Sascha and Winnie Stein in the final. Sascha continued his fine form in the league when his side Truants enjoyed a 9-1 derby victory over New Kids. He and Alain Leger were undefeated on the night, with only Ian Smith scoring for the Kids in a marathon encounter against Graham Wood. In the other half of the Victory Memorial Hall, Prefects fought hard but could do little to dent the progress of Division One leaders, Knights. Only Michael Hahn managed a consolation point for the home side with a last gasp victory against Stuart Halliday. Earlier in the evening, both these players had been generous with their time in mesmerising the club’s junior coaching class with an exhibition of spin serves. Third Division Prospects made the journey over to Forthill for an enjoyable fixture with Villa but, alas, emulated the popular TV programme by returning back over the bridge ‘pointless’. 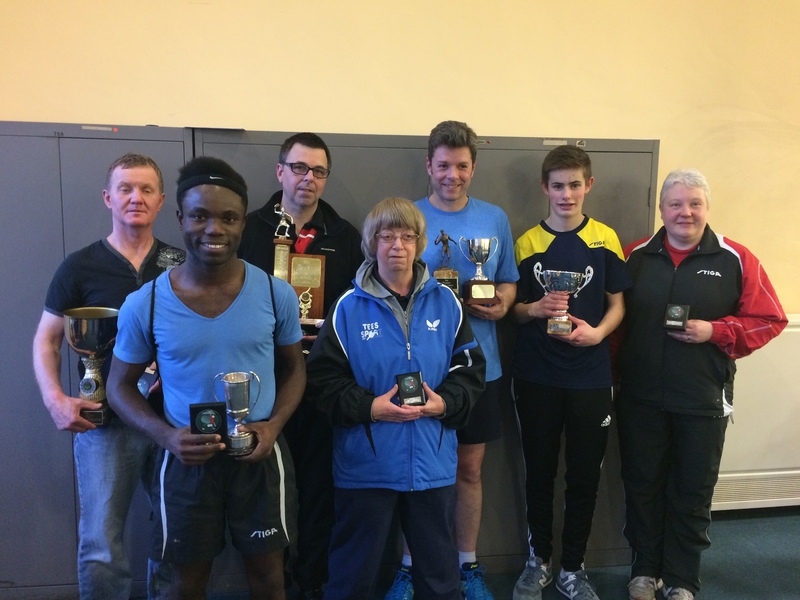 This entry was posted in Match reports, St Andrews Table Tennis Club on March 5, 2017 by standrewstt.